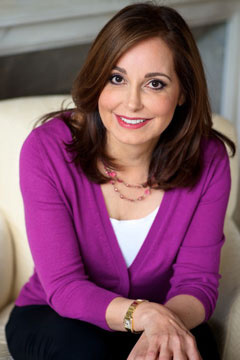 Dr Debra Jaliman is a world-renowned dermatologist with a private practice on Fifth Avenue in Manhattan. For over 25 years, she has taught dermatology at Mount Sinai School of Medicine. She was one of the first physicians to use Botox in her practice, and her office remains a national training center for Allergan, where physicians are guided by Dr. Jaliman on proper injection techniques. Dr. Jaliman is known for her ability to give her patients a subtle, natural look using Botox and other facial injectables. Many of the most famous faces in movies and television come to her, as do models that appear in top fashion magazines. Dr. Jaliman is also known for her expertise in treating skin cancer and rare skin disorders, as well as more common problems such as acne and rosacea. Dr Jaliman has appeared as a leading skincare expert for many TV shows, including spots on 20/20, The View, Nightline, the Today show, BBC News, CBS News, CNN, Dateline, FOX News, Discovery Channel, Lifetime, NBC News, Oxygen, Primetime and more. As an authoritative source in dermatology, she is frequently quoted in top national print publications, including Allure, Cosmopolitan, Elle, Fitness, Glamour, Harper’s Bazaar, InStyle, Ladies’ Home Journal, Lucky, More, Newsweek, O, The Oprah Magazine, Parents, Prevention, Shape, The New York Times, Vogue and more.